Z-LASER, a leading manufacturer of lasers and laser projector system LP-HFD presented its range of products on the exhibition Holz-Handwerk 2012. Especially the advancements of the existing product families ZM18 and ZM12 offer advantages in increased work quality as well as cost reduction. 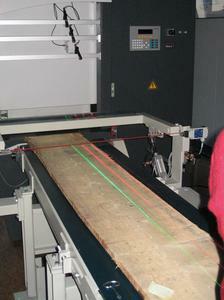 Red lasers, or green lasers for a better visibility, with long line projections up to 20m are applicable for all applications in the wood industry from work piece positioning to cutting edge display e.g. 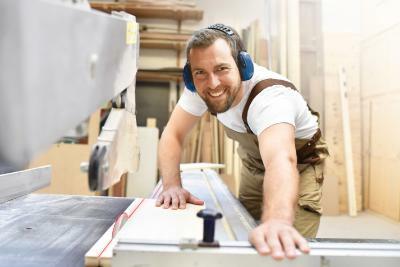 at format circular saws. Particularly worth mentioning are the very compact M18 thread design and the good price performance ratio for these entry-level lasers. By thought out constructions the ZM18 lasers are protected from wood dust and water (protection class IP67) and their operation is ensured in harsh ambient temperatures from -10°C to +60°C. The focus is adjusted sharply by hand, this simple hand focusing construction at ZM18 is set by a swivelling, now more roughly examined ring. It does not shift independently during the regular operation and so the projection remains exactly calibrated, changing work distance is easy to adjust. In connection with the 5-30VDC supply voltage the laser is variously practical and can be integrated trouble-free into an existing machine system. Besides the small laser module ZM12 is available, built in a M12 housing that is just 45mm long. All customized lasers with special properties at power, optic (e.g. cross or circle) or for challenging applications are developed completely in-house and guided until the final product stands. Exact positioning via the laser light offers remarkable advantages at ranged surfaces. There is granted an optimal use of working material, whereby the working quality is increased and a higher throughput reduces the costs. LP-HFD laser projectors with red or green laser power up to 40mW allow complex positioning applications. 2D/3D data is transferred serial or via Ethernet (also WLAN), the needed projection can be controlled by a computer or switched by remote control directly at the working site. Laser projectors for two need-adapted variants with opening angles 80° x 80° for far surface cover or 60° x 60° for improved accuracy are available. As an example to position the CNC vacuum pods correctly, the laser projector can be used to precisely indicate the contours of the vacuum pods and minimize waste. To display whole production halls and larger objects with lasers, a multi-projection system can be installed with several projectors connected in series. Established in 1985, Z-LASER is a recognized developer of laser systems for industrial, medical and laboratory applications. Staffed by a team of creative engineers, Z-LASER finds innovative solutions and applications for optoelectronics and laser technology.